Discussion in 'The Western Star' started by Da Twista, Apr 29, 2018. This year, The West had its 10th birthday! In order to celebrate this amazing anniversary properly, there will be a special event coming up: From April 30th to June 5th, our legendary online games will offer an international Classic World which the players will have the opportunity to re-explore the very first version of The West - including the original graphics, features and rules from that time. Nostalgic feeling is guaranteed! Grab your bindle and go into the vast, untouched prairie, together with settlers from the whole world. 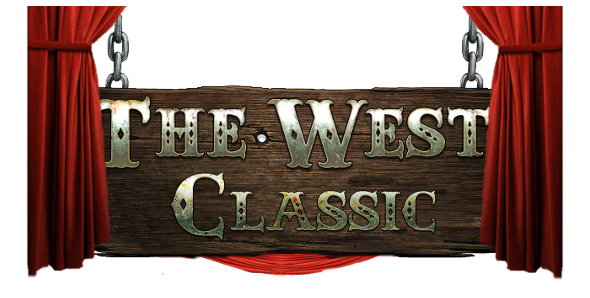 Travel back into the year 2008, to the beginning of The West - and experience the difficulties which the pioneers had to face at that time. Every dollar counts, but the next bank is far away and bandits are lurking behind every corner. Every job has to be unlocked with skills, no mobile trader offers you the required items and nobody helps you at the town market. Fight your way through several classic quest lines, found and construct a town, challenge other players in duels and profit from free premium advantages for everyone. Join and choose your way on the international Classic World! And remember: A donkey symbolizes richness. What version will this world run on? The version from the release day of the English version, September 21st 2008. What is not possible in this world? What is possible in this world? In addition to founding and constructing towns, jobs can be finished and other players can be challenged in duels. In the saloon, many classic quest lines are waiting to be accomplished. Moreover, the popular old avatars can be used, such as the card sharper. How many classic worlds will be available? Just one, an international classic world. In what language does this world run? This world will be entirely displayed in English. Can nuggets be bought in this world? No, nuggets can not be purchased. The four premium benefits which are available can be activated for the price of 0 nuggets. Where can I log in to this world? Please notice that the registration is disabled at the moment. On April 30th, you will be able to register there as usual and then you can start playing. Please take note that this special world has limited support and is not plugged into the InnoGames customer support or payment systems. Premium purchases are not possible. Bugs and other technical problems may occur. Play at your own risk! lulumcnoob, krcsirke and Al35ul like this. The Classic World has ended. All rewards should have been passed out. Thank you all for participating, and we hope you had fun!